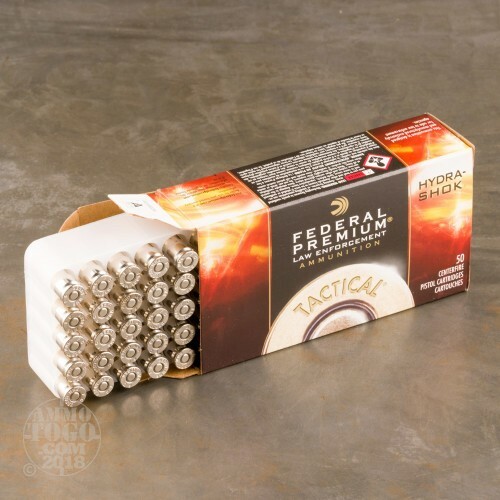 One of the most-trusted names in the shooting world, Federal has been producing high-quality ammunition since 1922. Headquartered in Anoka, Minnesota, Federal uses innovative technology to deliver reliable loads for every modern shooting application. Federal Premium Law Enforcement loads are manufactured using quality components. 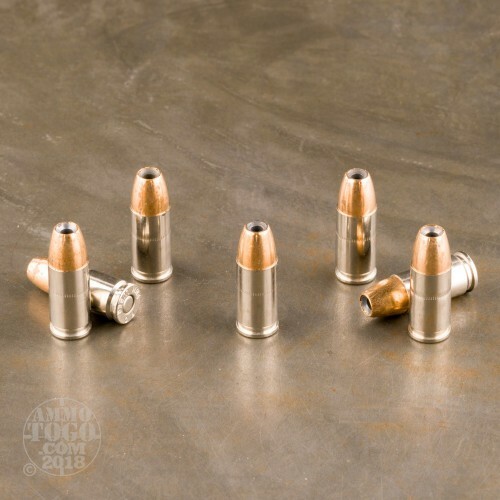 Engineered to deliver reliable feeding and function in semi-automatic handguns, this line of ammunition provides the consistent performance necessary for law enforcement applications. 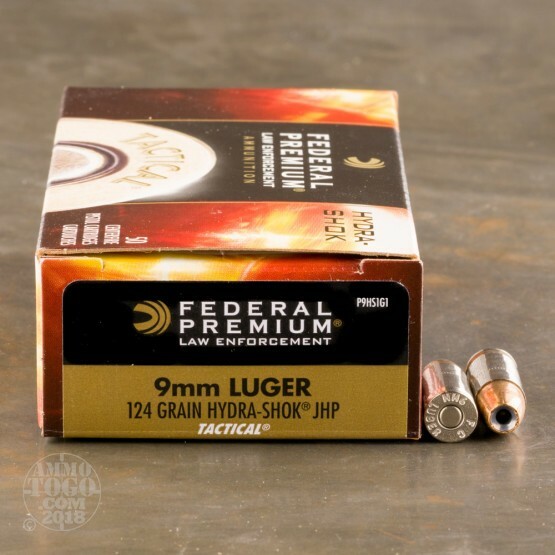 This package contains 50 rounds of Federal Premium LE 9mm Luger (also known as 9x19 Parabellum) ammunition. Each cartridge is loaded with a 124 grain Hydra-Shok jacketed hollow point (JHP) projectile. The Hydra-Shok design uses a unique center-post construction to deliver controlled expansion. The special notched copper jacket allows for excellent weight retention, energy transfer, and barrier penetration. 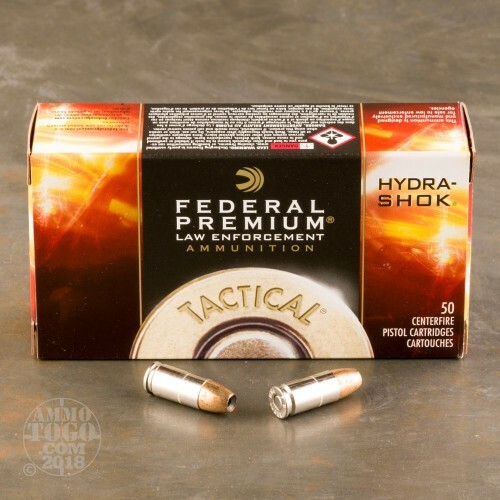 This ammunition is factory fresh, boxer primed, and features non-corrosive, nickel-plated brass casings for smooth and reliable feeding and function. Each round produces a muzzle velocity of 1120 feet per second and a muzzle energy of 345 foot pounds. Penetration Depth Compared to 9mm Luger (9x19) Tested 0" 10" 20" 30" MIN 5.6" MEDIAN 17.7" THIS AMMO 34.9" MAX 47.5"
Iv'e used AmmoTogo many times they always have the right products I need for both my Rifle and my Pistols but the thing I like is that I make the purchase and it comes to my door less than any other retailer.